Steven Young, a top official with ship operator Carnival UK, visited Indonesia‘s booth during the 2014 Cruise Shipping Miami exhibition with one important purpose: To find out whether there has been infrastructure and facility improvements in the country’s ports and shipping industry. The Jakarta Post reports that Young, head of port operations & services with the world’s largest ship operator, wanted to make sure that Indonesia had fulfilled its promise to develop its ports and facilities. “Our ship came to Semarang [Central Java] months ago and was upset with the condition of the port. I came here to find out if improvements had been made,” he said, referring to his cruise line Costa Victoria. 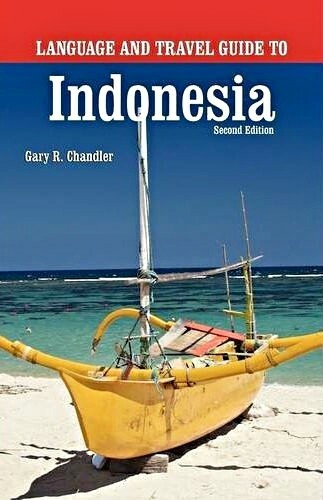 Experience more of Indonesia than the average traveler by speaking Indonesian. Simple courtesies and greetings will make your trip more productive and rewarding. Our phonetic style makes it impossible to mispronounce important words. Order your hard copy. Indonesians will sparkle with delight when you speak just a few words in bahasa Indonesia.